8-14 Girls Shirt Playsuit https://www.review-australia.com/au/8-14-girls-shirt-playsuit/RE19RK025.RENVY001.html A shirt style playsuit? Yes please! The playful style sports relaxed shorts, waist tie, and a shirt style bodice with white contrast buttons and piping. A shirt style playsuit? Yes please! The playful style sports relaxed shorts, waist tie, and a shirt style bodice with white contrast buttons and piping. 8-14 Girls Shirt Playsuit is rated 5.0 out of 5 by 2. Rated 5 out of 5 by Abbi from Stylish and comfortable My daughter loves this play suit and wears it all the time. She is 11 years old and beginning to be particular about her clothes and style. I’m happy to have found something she loves to wear. Beginning the review love early! 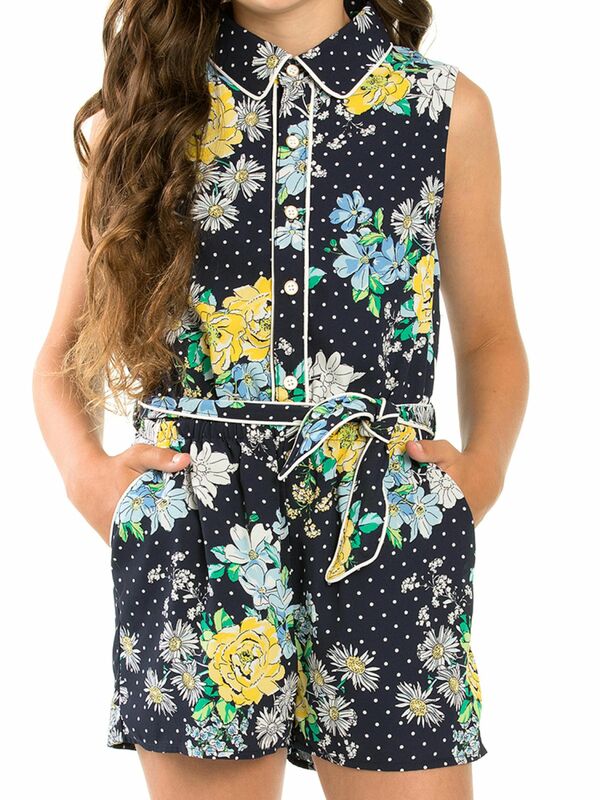 Rated 5 out of 5 by Rosemae from Fun play suit for girls I bought this playsuit for my 12 year old daughter. She has worn it everywhere since. It is easy to care for so its out of the washing machine and she’s wearing it again!